Description: Take a voyage to the pirate's island in search of the hidden treasure of ABC. Make to the open sea and sail by beautiful islands while doing your best to arrange as many words on your gamefield as you can. Description: In a not so distant future the Earth is under attack. You are an elite soldier. Your mission is to defeat the evil alien monsters. Over two dozen action-packed levels await you. Survive their attacks and save the world! Description: ActRaiser is a 1990 Super Nintendo Entertainment System action and city-building simulation game developed by Quintet and published by Enix (now Square Enix) that combines traditional side-scrolling platforming with urban planning god game sections. A sequel, ActRaiser 2, was released for the Super Nintendo in 1993. Description: ActRaiser 2, released in Japan as Actraiser 2: Chinmoku heno Seisen (Chinmoku e no Seisen?, Actraiser 2: The Holy War to Silence), is a side-scrolling platform game for the Super Nintendo Entertainment System video game console developed by Quintet and published by Enix (now Square Enix) in 1993 and is the sequel to the popular game ActRaiser. The game tells a story that parallels the famous religious epics Paradise Lost and The Divine Comedy. Description: The SNES version is developed and published by Konami. The action takes Batman to an amusement park and other places where supercriminals do their nasty work. Nintendo Power criticized the game for not giving Robin a more active role (the game was actually under development before the series was retitled). 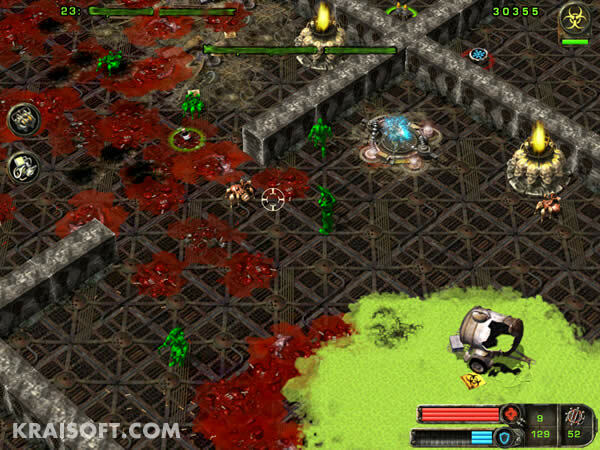 Description: Cut your way through locations filled with mutants in this 3rd person 3D-shooter. In your attempt of discovering the source of the evil raging all over the planet you will fight dreadful creatures with your arsenal of weaponry and special abilities. Nice 3D graphics and sound FX, 16 weapons and devices, 3 game modes (Campaign, Firing range, survival), Worldwide Hall of Fame and much more. Description: Take a role of a commando in the game Air Agression! Your task is to defend a military base situated on the island of MyPlayCity. The base is attacked by the air forces of the enemy. The enemy troops are landed periodically. You are to repulse an attack to protect the base. You have weapons of all kinds at your disposal. You receive ammunition and medicines via air support. Join your counterparts from all over the world and beat your best score! Description: A standard helicopter war-game, featuring the Air Cavalry division. The game is played in a third person view using mode 7 graphics, with the cockpit displayed in splitscreen. There are three campaign areas to fly in: Middle East, Indonesia, and Central America.